Troubleshoot operational issues with a Magic Bullet to get the most out of the powerful mixing and chopping appliance. 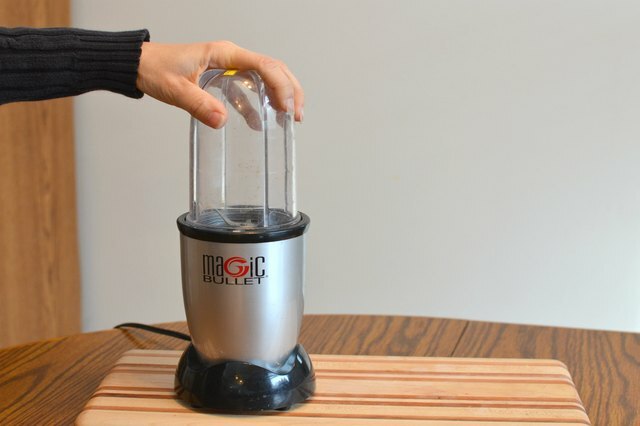 The cyclonic action created the canister shape of the Magic Bullet sends chopped foods back into the blades where they are quickly pulverized. 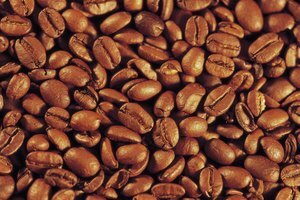 Proper filling, assembly and usage technique are necessary to achieve predictable textures when using a Magic Bullet. 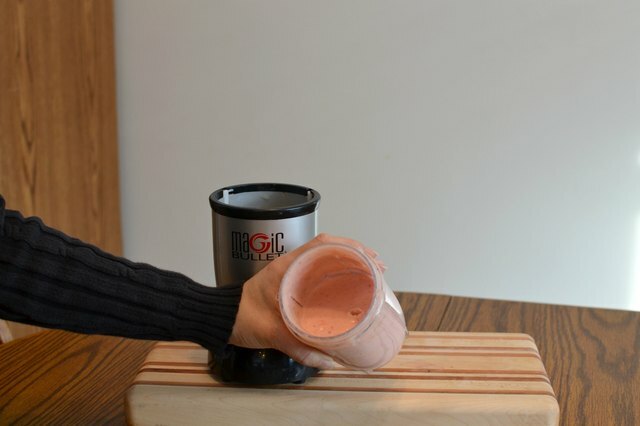 Make sure that you are using you Magic Bullet blender correctly to optimize its performance and reduce food preparation mishaps. 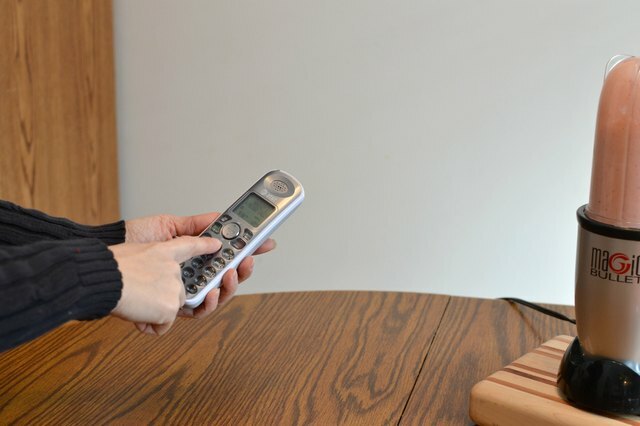 Unplug the Magic Bullet from the electrical outlet and gently unscrew the clear jar from the top of the unit by lifting as you turn the jar in a counterclockwise direction. 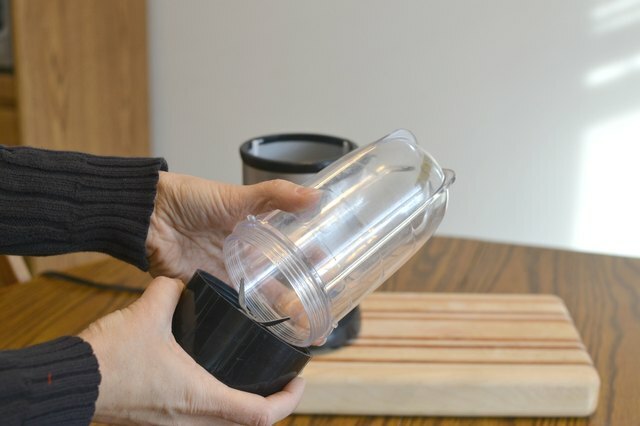 Unscrew the black plastic blade housing from the base of the jar by twisting it counterclockwise as the clear jar is held still. Inspect the disassembled components for damage, like cracks, worn clear plastic gasket or warped and misaligned threading. Blades that are bent, broken or dulled will take much longer to break up or blend foods. Replacement parts and accessories can be ordered directly from the manufacturer. 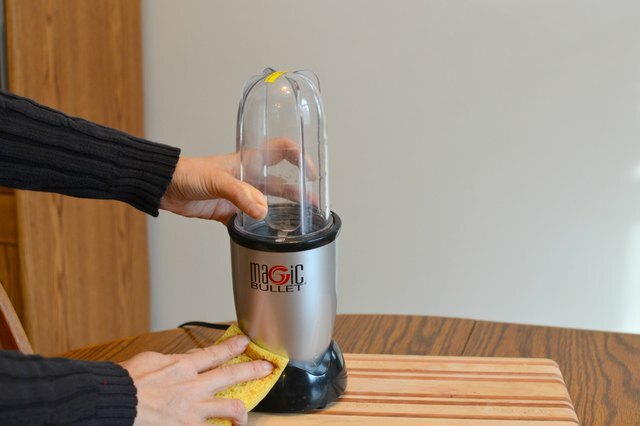 Clean all the disassembled components of the Magic Bullet with liquid dish soap and hot water. Let the pieces dry completely on a clean towel. Food residues that are left to build up in the blade assembly and jar may contaminate foods and effect the functionality of the Magic Bullet. Reassemble the blade assembly making sure that the clear plastic gasket is seated evenly below the blade when the piece is screwed back together. Magic Bullets come with two spare gaskets to replace missing and broken seals. Wipe down the base of the magic bullet with a damp cloth and check that the clear plastic gasket is still in place around the motor assembly. Plug the Magic Bullet back into the electrical socket and load the jar between two thirds and three quarters full of food. 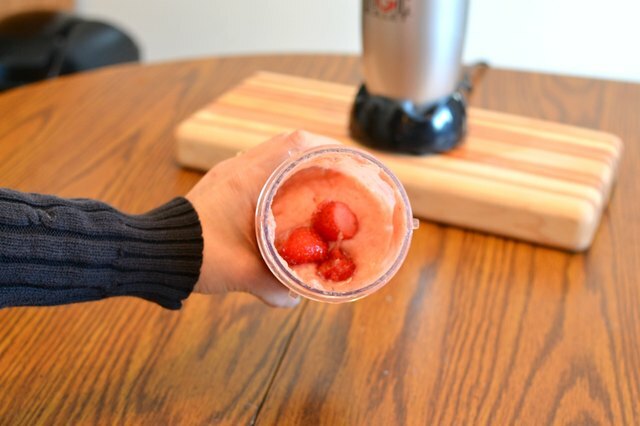 Larger chunks of food require more room in the jar to move around and be cut up. Seal the jar by screwing the cleaned blade assembly onto the base of the filled jar. 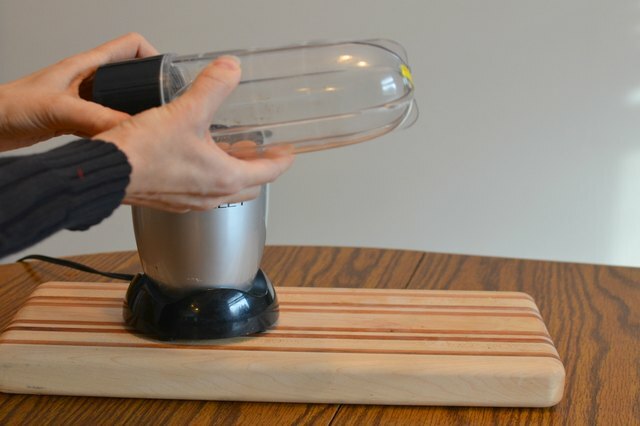 Press the sealed jar down onto the base of the Magic Bullet to activate the motor and begin chopping the food. Watch closely for liquid seepage as you press in quick two second pulses. Lift and open the jar to examine the contents and see what texture has been reached. 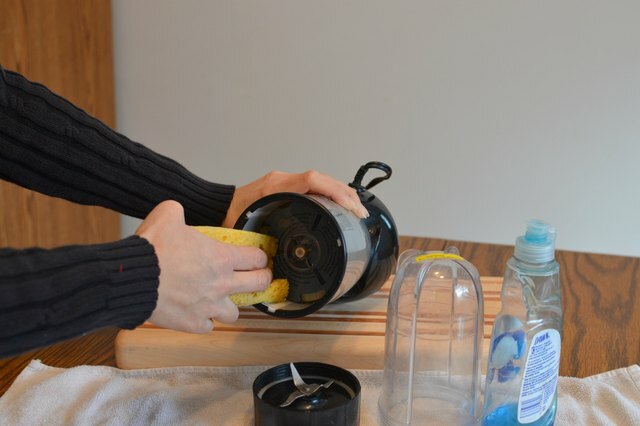 Reseal the jar and spin it clockwise as you press down to test the lock position. 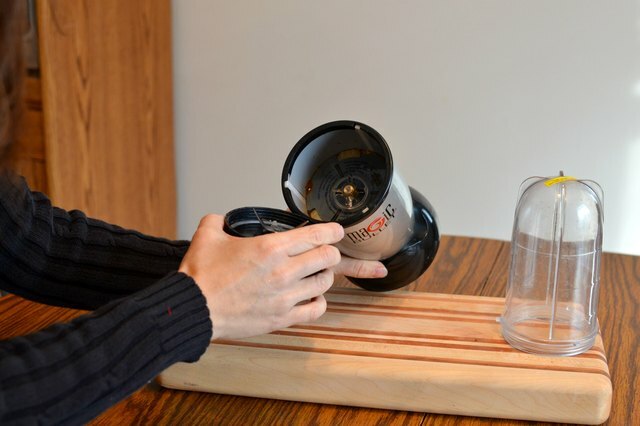 Release pressure from the jar to see if the lock holds the jar in place and continues the blending. 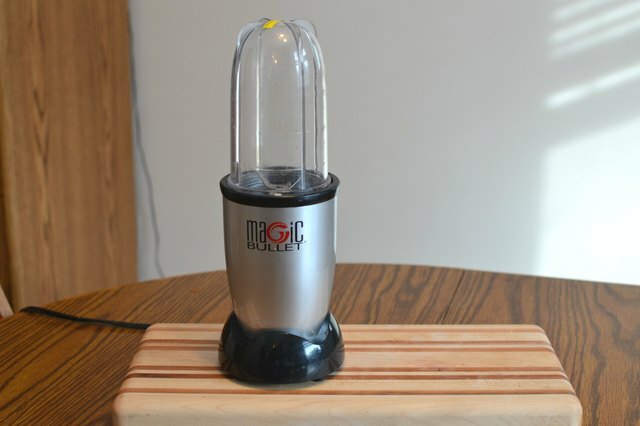 Contact Homeland Housewares, the makers of the Magic Bullet, if the appliance fails to activate when it is plugged into a working outlet and is assembled correctly. 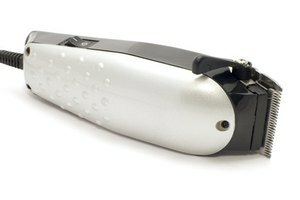 The manufacturer offers one- and four-year warranty options to cover material and workmanship defects. Washing the high impact plastic parts of a Magic Bullet in the lower rack of a dishwasher may cause them to warp and crack due to heat exposure. What Are the Parts of a Blender?